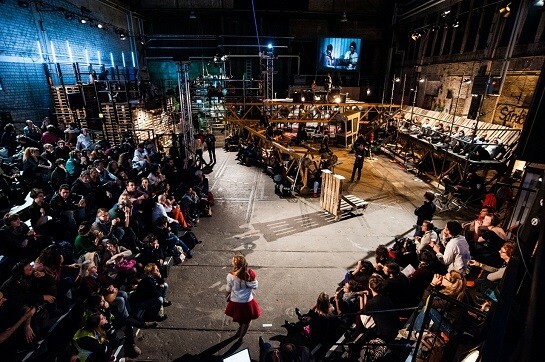 In September 2014 artists, activists, researchers, and participants from all over Europe and beyond gathered in Hamburg for an assembly of assemblies. Sharing experiences from real-democracy-movements and artistic experimentation they wanted to explore new ways of coming together: collective insights into the materiality, the timing, the agenda, the desires and the catastrophes of being many. 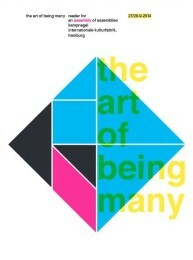 The Art of Being Many took place at Kampnagel Internationale Kulturfabrik. In a huge hall of the former factory building the assembly became a laboratory of itself: a collective of friends and strangers with many voices and bodies including those of ghosts and things. Many of us met for the first time, but we all had something in common: We had witnessed moments of assembling that had made the word ‘democracy’ sound important again. These assemblies may not have brought about the political changes many of us have hoped for. But they have been the catalyst for a new art of being many. Towards a New Theory and Practice of Gathering. A digital version of the “reader for an assembly of assemblies” is available for download here. COMING TOGETHER, COMING APART: A soundtrack for the journey to an assembly. Available for download here. 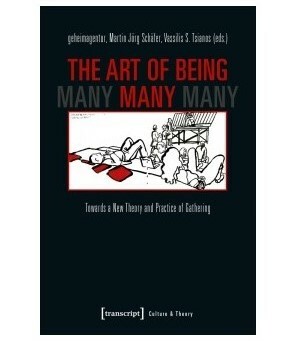 The Art of Being Many was funded by Kulturstiftung des Bundes, Bundeszentrale für politische Bildung, Graduiertenkolleg Versammlung und Teilhabe and Kampnagel Internationale Kulturfabrik. It was supported by Performance Studies/Universität Hamburg, Freifunk Hamburg, Asta HAW and Jungle World.